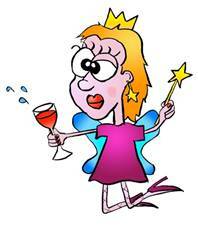 GETTING DRUNK ON PURIM: IS IT WORTH IT? This feature article by Avi Lazerson was first published in the March 2014 edition of the Jewish magazine and discusses the need to be intoxicated on Purim. Each year Rabbis come out and request that people drink within moderation on Purim even though the halachic requirement is to drink until one does not know the difference between "Cursed is Haman and Blessed is Mordachai." The reality of the situation is that many young people in yeshivas do get drunk and have much fun and do nothing sinful or dangerous. Yet for others, the thought of getting drunk is disgraceful and I happen to agree but within a certain frame work. Getting drunk during the year, meaning not during Purim is a reckless action that removes one's brains and mind from a person's actions. During the year it can be very harmful and lead to alcoholism. Drunkenness should be avoided in all cases. Drunks are next to drug addicts on the bottom rungs of humanity. But on Purim, each person has the ability to use that normally despicable pattern of behaviour to elevate his soul above the mundane. The ancient sages condoned, even encouraged, getting drunk this once. The reason being that often times we need a catalyst to enable us to push aside the facade of the physical world in order that we can apprehend the spiritual elements that exist side by side with the physical. The problem is that as we live our lives, we live them in accordance to the physical environment that surrounds us. We realise that there are doors to open to go in and out. There are walls that separate us from others. Food and drink are for sustaining and giving us a feeling of well being. Everything in our life is physical to the point that we begin to view life as chiefly being physical. The spiritual side, well, it may be somewhere, but who knows? As one begins to drink on Purim, the drinking is done only for the purpose of fulfilling the Sages dictum "A person should drink on Purim until he does not know..." When the physical attraction of the world is diminished and spiritual side begins to beckon to you, you have realized that there is more to the world than the physical. Yes, although this may be a substance induced realization, still a spiritual experience is worth the hangover that is the next morning's badge of faith. Someone who cannot trust himself to drink sanely and safely has no business drinking. If a person is not careful with the mitzvot of G-d and he may come to transgress, he has no business drinking. Each person must look into their own hearts and decide for themselves if they should drink or not. Remember, there is no sin in not drinking or not getting drunk, but there is one if one gets drunk and does something wrong. All contributions are accepted on the understanding that the authors are responsible for the opinions expressed which do not necessarily reflect the views of the Hull Reform Synagogue.